A few weeks ago, Nic over at Mini Matisse, posted about dealing with stress and the importance of finding balance amongst all the many hats we are wearing professionally and personally. It really struck a chord with me, as I'm sure it did with many other readers. 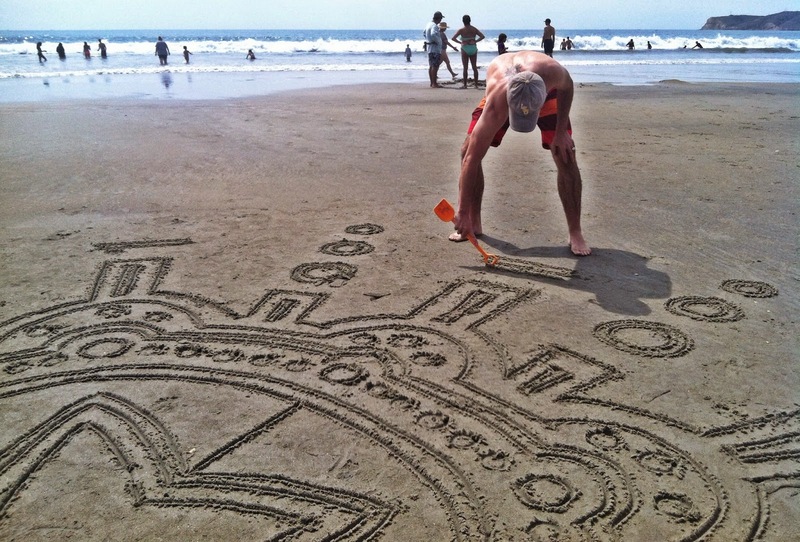 Well, it was in the mid 90s over the weekend and we headed to the beach to beat the heat. While we were there, I took one of my kids' shovels and did something I hadn't done in quite some time- a temporary mandala. I started doing these in the middle of the night back when I was teaching summers at Bucks Rock camp and then I continued doing them in different cities or places I'd visit. Some would take hours, others were done in short little bursts. On a personal note, do you watch House of Cards? 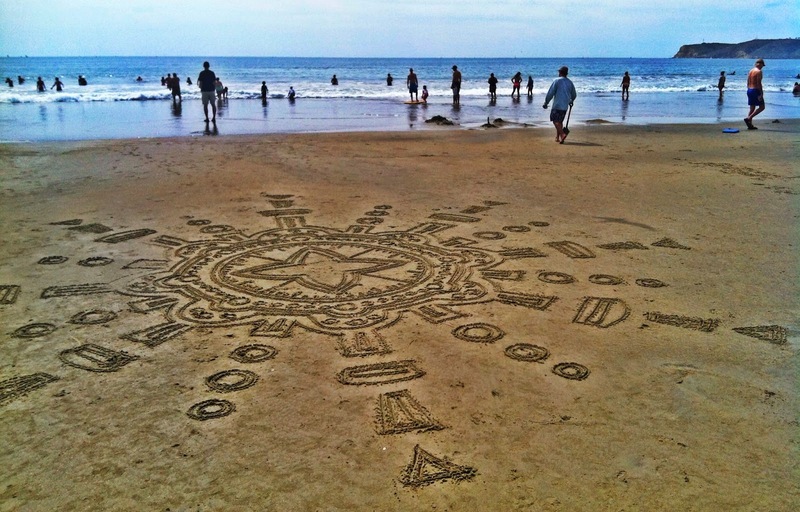 The episode I watched last night was with the monks creating sand mandalas. Love yours too! Thanks for the info, Beth! I do watch HoC, but haven't gotten to that episode yet. Looking forward to it, tho:) Here's a link to some that I've done before. Wow. Very impressive. I felt the same with this weekend. My husband and I went for a walk along the beach and it was so incredible we jumped straight into the water, shorts and all. Felt so good! There is no such thing as stress at the beach.